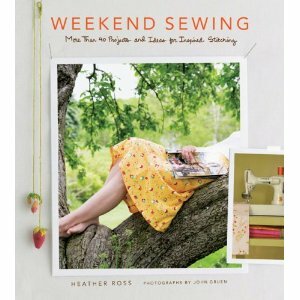 Welcome to Sarah’s Threads Stitch & Sew, a curated list of sewing essentials by a gal who seriously loves a good needle and thread. 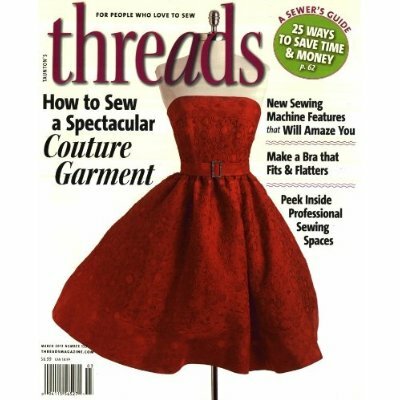 For more about sewing, fashion or to see some of these tools in action go to Sarah’s Threads. Originally designed for people with arthritis, these scissors are gentle on your hands and have a super simple glide which makes for a straight cut. Just remember, only use these on fabric. Otherwise you’ll dull your scissors and end up with one really nice paper scissors. The little orange plastic lock keeps these scissors closed firmly, which helps to prevent you from cutting your fabric in the middle of a project. 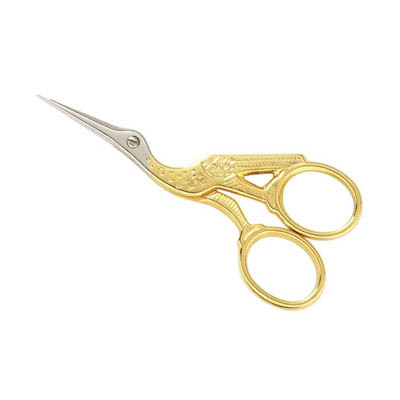 Don’t let the size of these little snips fool you. These are the most powerful scissors I own. I keep this (and my seam ripper) close to me at all times. Need to cut a small area of fabric? No problem. Cutting around a curved seam? Perfect. Get these scissors. Just watch out for that sharp blade tip! What’s that sound? 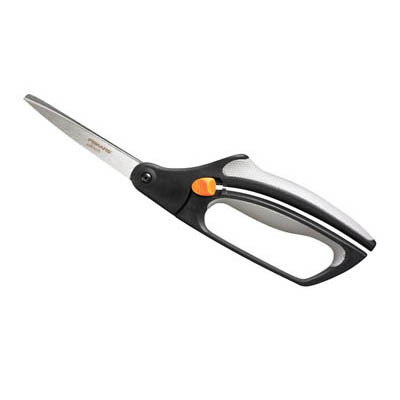 It’s the sweet sound of a precise little snip. 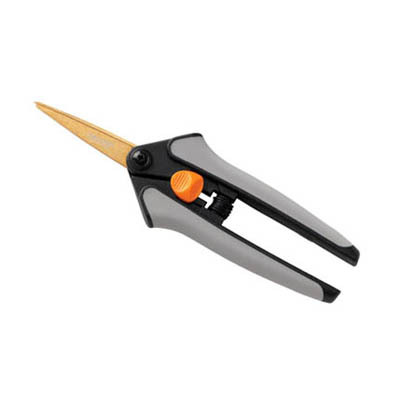 These stork embroidery snips are ideal for cutting thread. I keep mine next to my Brother serger so I can quickly cut those little thread tails off of my fabric before causing a mess. While I don’t use this all the time, a rotary cutter is great for cutting squares and straight lines. If you are a quilter you should have at least one of these! Just make sure that when you get a rotary cutter you start with this simple practice: every time you put the cutter on the table, close off the blade. But just remember to treat this tool like you would a sharp kitchen knife: with respect. Blades, while not cheap, are easy to refill. 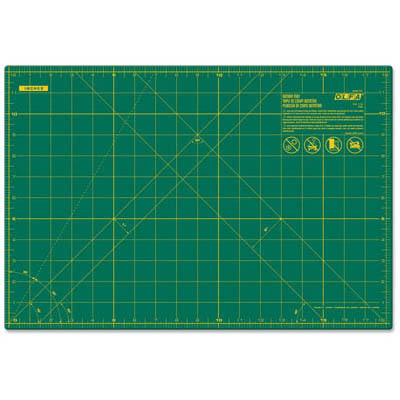 If you use a rotary cutter you will need to get one of these self healing mats. While I only occasionally use rotary cutters, I keep mine on top of a table when cutting fabric with scissors. The grid with measuring tool and angles is extremely helpful. Some mats also come in two colors: black on one side, green on the other. I bought this serger when I was getting started with knits. And, while I have done a fair bit of cussing at this poor little machine, overall it’s been a good one. Threading the loopers can be a bit difficult, so keep your manual and CD with videos close for good visuals for several how-to’s. 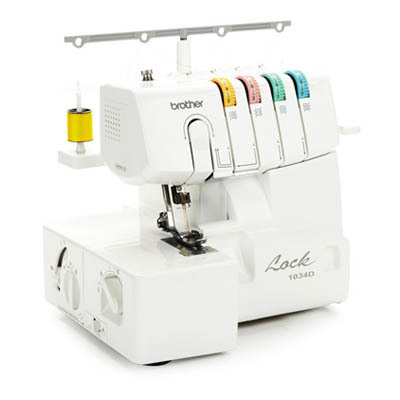 I’d consider this machine the gateway drug for the great world of sergers. If you like this serger, you’ll probably graduate to greater sergers in the next few years. But start here. 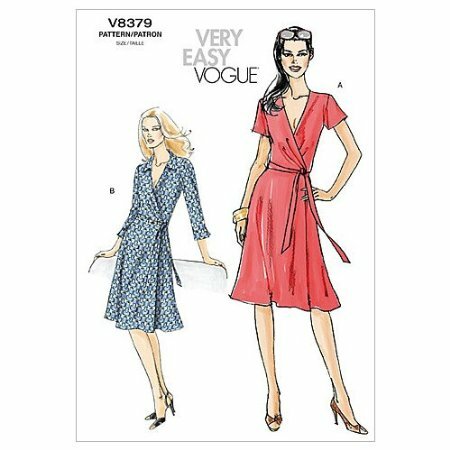 For less than $200 it will sew knits, narrow hems for napkins and much more. Next to my seam ripper and snips, this is one of my favorite tools. It’s such a simple design but unlike other fabric marker or pencils, this creates a chalk line that stays on fabric just long enough to provide a guide. When you are done, spot wash it off with a few drops of water or gently rub it away. 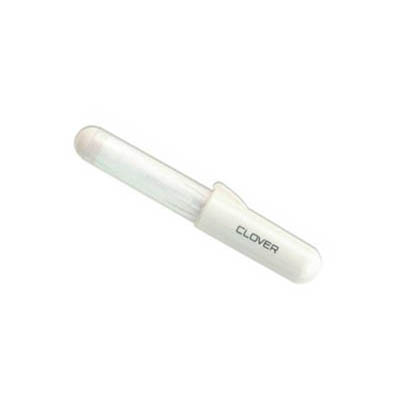 Get one in a dark and light color so you can easily mark on any kind of fabric. Sometimes you need to just step back and see a garment on someone to see how it looks. 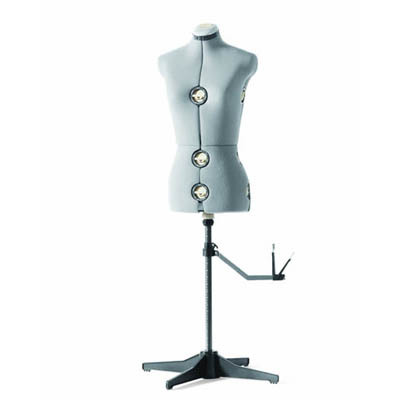 That’s where this little adjustable dressform comes in handy. While it is adjustable to some proportions, chances are it won’t fit your body measurements perfectly, but if you are a visual person, and have this adjusted to roughly your measurements, it will help you. I’m a huge advocate for sewing and construction while standing. For me, sewing while standing up means I am less hunched over when I was sewing and I can actually focus more on the work and less on my aching back. I’d also recommend when you have a tall sewing table that you have at least one stool. If you get tired standing and sewing/working you can always lean against it to help take some of the load off. After sitting at a desk from 9 to 5, sometimes the last thing I want to do is sit at a sewing machine. I solved that a few years ago by buying a table that allows me to stand when I’m sewing. Sewing standing up! What a crazy concept. 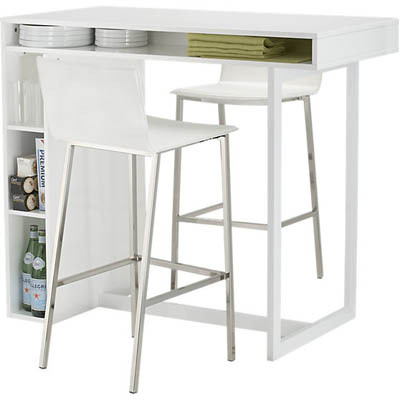 If I get tired of standing, I just lean or sit on the stool next to my tall table. 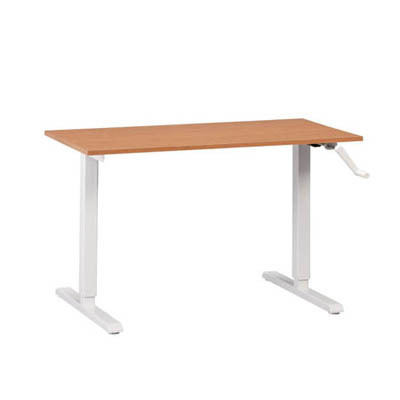 While this table isn’t exactly the same as mine, I like that this table gives you options to sew sitting or standing. And it’s available in several colors. 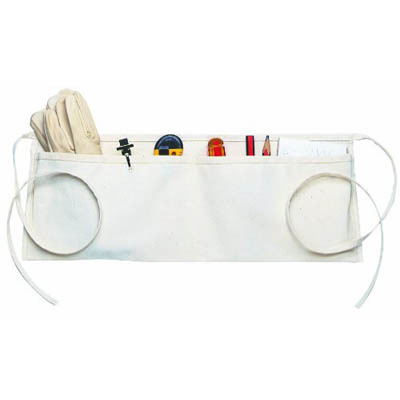 This handy little belt keeps all my tools with me as I jump from my sewing machine, to the serger and ironing board. Yes, it’s true that you could sew yourself a little apron, but sometimes you just can’t do it for less than $5. Why not spend the money and put your energy into accessorizing this belt? I actually commandeered my husband’s ArtBin box from design school. It’s great for travel, and with the different levels you can keep smaller items like bobbins neatly in place. It’s a small price for a valuable little carry case. 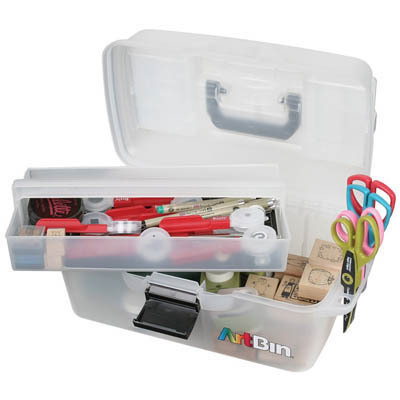 Remember, sewing can be a team sport, take this little case with you to sew with your friends! 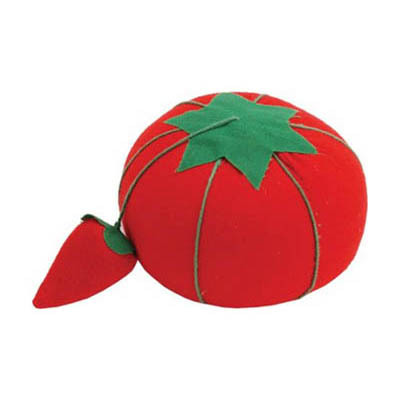 Okay, so this little pin cushion is just so classic that every sewer should have one. I use mine for organizing my different needles. I tend to have about 5 different types of needles that I use for my serger and sewing machine. 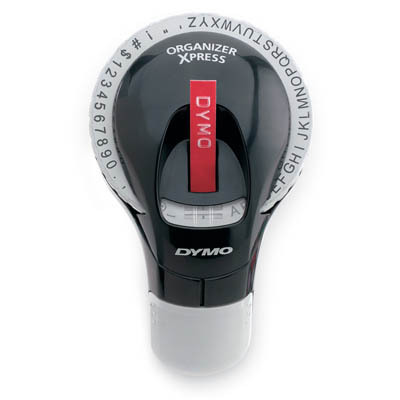 I use my little Dymo label maker to create little labels (like knit, jeans etc.) so I can easily keep all of them separated. I keep the labels on the bottom of the cushion to preserve the cute retro look and never lose track of my needles. If you ever visit my sewing space you’ll see labels everywhere, but probably not where you’d suspect. I’ve got them at the bottom of my pin cushion so I can tell my different sewing needles apart. My sewing box is adorned with a label of my name. And I’ve used these on hand stitched greeting cards. The ribbon tape lasts for a long time and is available in several different colors. This label maker has been around for decades because it’s so simple to use and so darn sturdy. 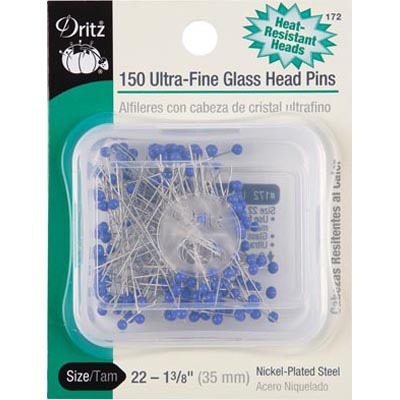 When shopping for sewing pins you should look for two things - glass heads and heat resistant. Glass are more substantial and won't fall apart like the plastic heads. They are also heat resistant which will be important when you are ironing around pins. Dritz is a great brand and some of their pins come in a carry case like this one to keep them all together. 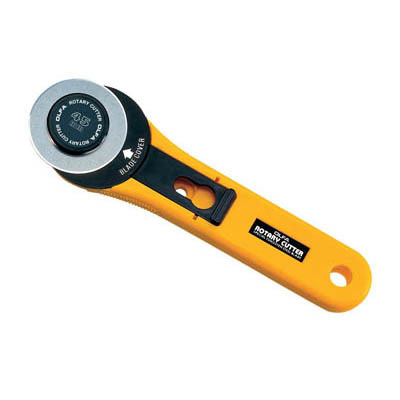 Try to ignore the horrible name for this spiffy little tool. 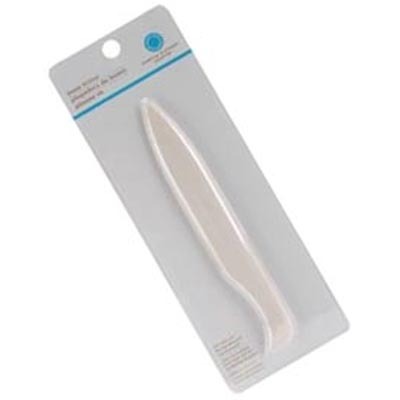 I use this bone folder for an edge turner and to make crisp edges when I'm sewing. The not-too-sharp point won't rip fabric or seams but helps to get into tough corner areas. I also like my white bone folder because it doesn't get lost in dark fabrics. Despite the semi-dated looking cover photos, this magazine is a bookshelf mainstay. The tips are created by people who have sewn for years. I always think that they have a whole editorial board of sweet little grandmas who love sharing their decades of sewing advice with their readers. 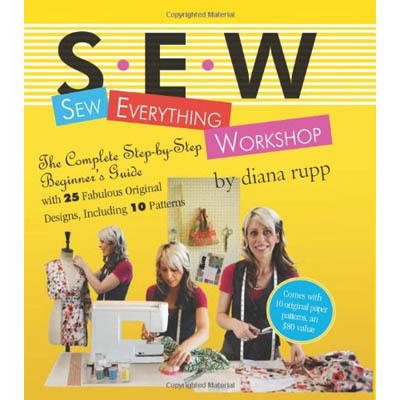 Even if that isn’t true, the content is very useful and geared towards all sewing levels. Get a subscription and prepare a space in your bookshelf. You’ll keep each issue! File this one under amazing! 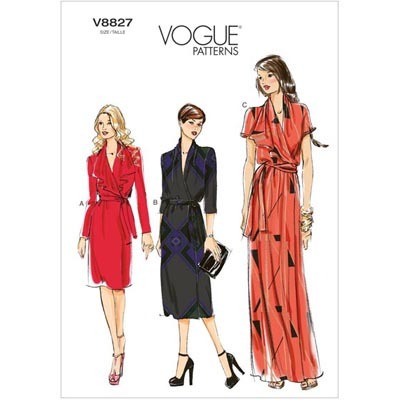 BurdaStyle is a Vogue magazine where all the outfits can be made with patterns that are included in each issue. While this is geared toward more advanced sewers, the magazine does a good job of separating each pattern based on skill level. You may have heard of the BurdaStyle website, which is owned by the same parent company. This publication is from Europe and translated into English, so there are some funny lost-in-translation moments throughout the instructions. How many editions of this book exist? Sheesh, it’s been around forever! Sections of my edition of this book are worn from use. 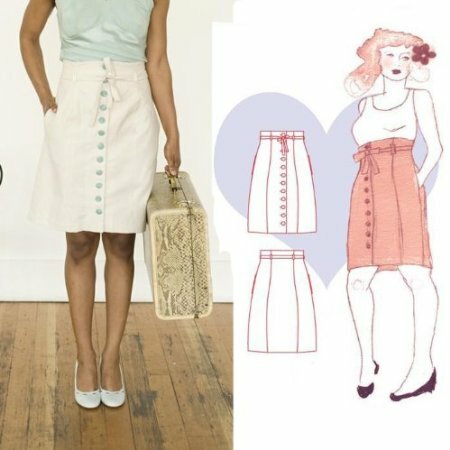 The step-by-step sewing guide helps to break down some of the hardest techniques. Get it. If you aren’t using it now, you will soon. 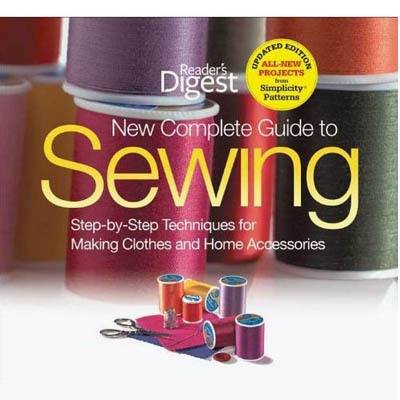 Geared towards the intermediate sewer, this book is designed to teach anyone how to draft patterns. 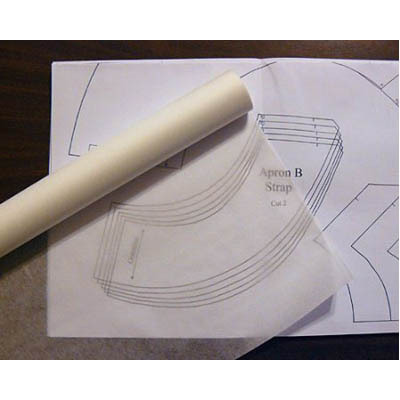 It’s a great next step from the beginner project books to patternmaking. 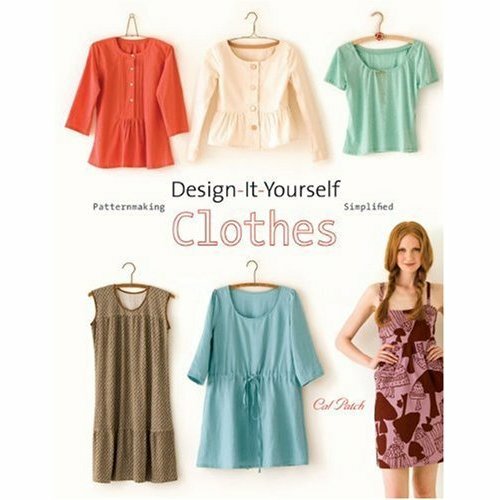 Cal Patch, the author, has designed for a ton of designer labels including Urban Outfitters. How can you lose? 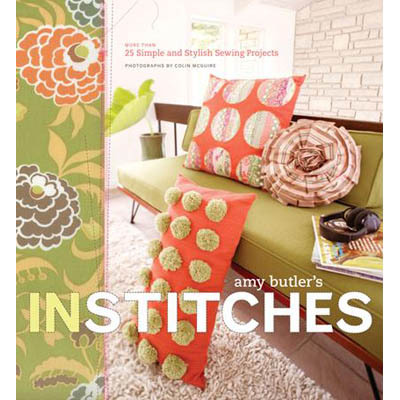 This is a great beginner book full of inspiring sewing projects. I’ve used this to make homemade gifts for several of my friends. 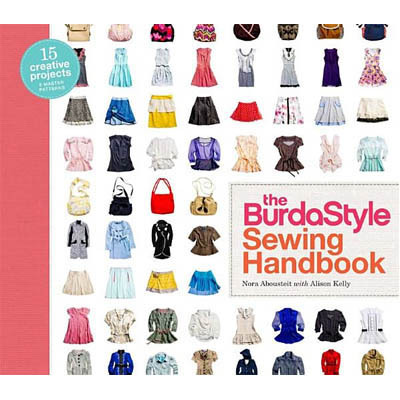 From baby clothes and toys to accessories, this is a very useful book. 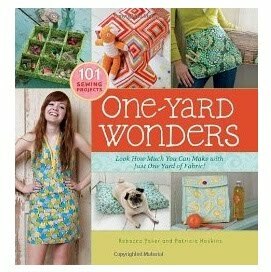 You will dog ear every page wanting to make each pattern. And depending on your sewing level, you probably could. 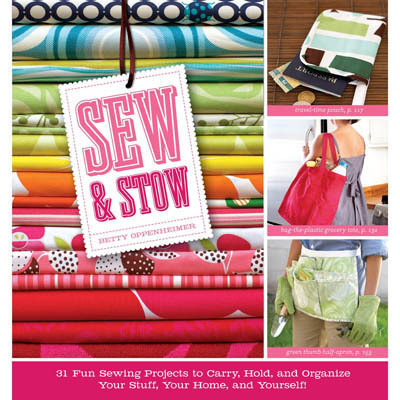 All links point to Amazon affiliated codes to help support my sewing (obsession).